“I’ve spent a lot of time at the Design Centre; it’s a great place to meet clients,” says the interior stylist and author. Check out the new palettes and patterns from leading international design studios on the New & Now Pinboard. 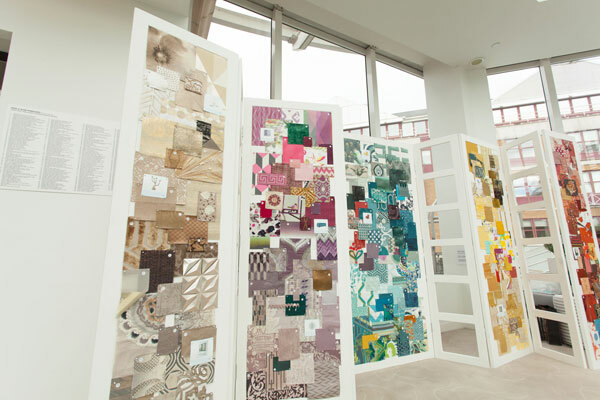 Arranged into inspiring colour palettes, it offers a real glimpse into the hugely diverse trends emerging this season. From opulent embroideries to modern marbling and quirky geometrics, it’s all on show. Whether you’re feeling nostalgic, embracing the future or just mixing them up, it heralds a change of pace.